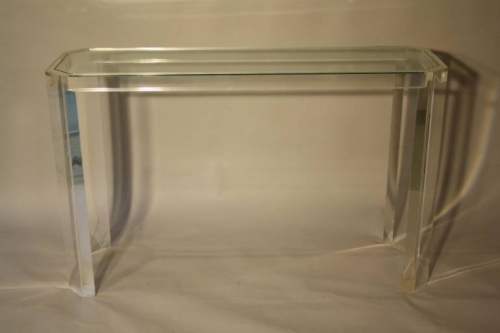 An elegant clear lucite and glass top console table. French c1970. Odd minor scratches to lower legs as you would expect for age.